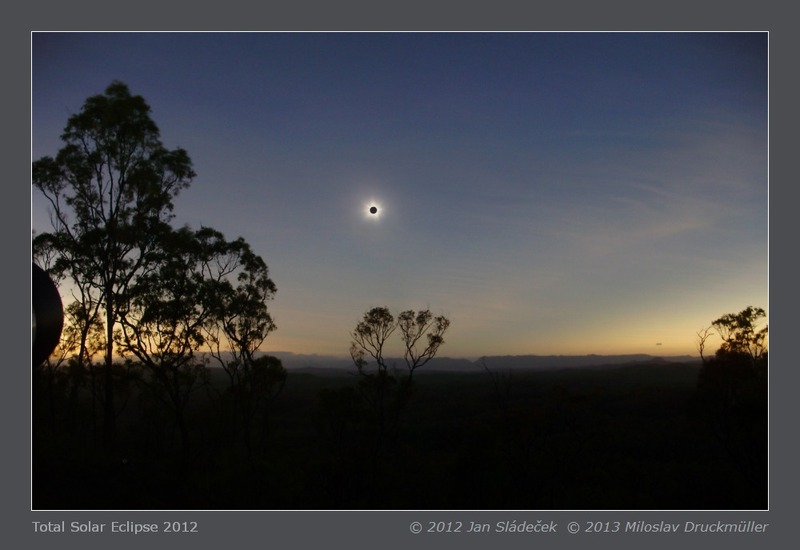 This beautiful eclipse panorama consists of two images taken by Jan Sládeček. 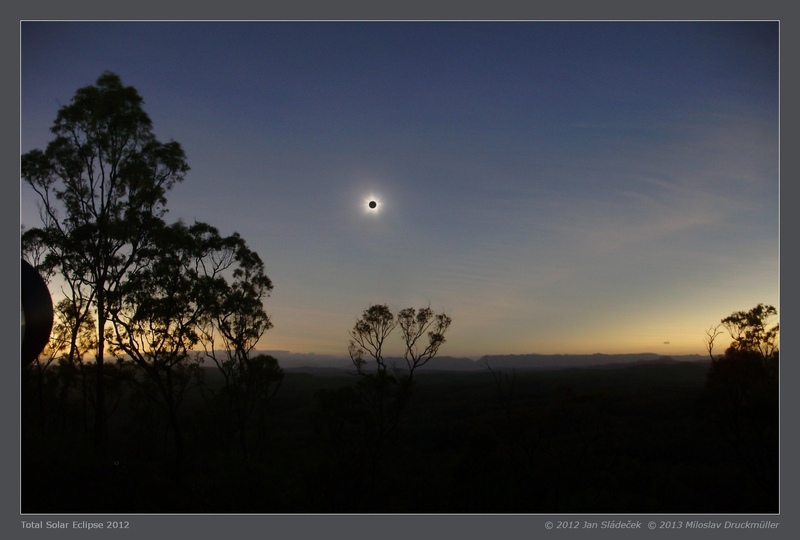 The saturated part of the image was replaced by this wide angle image aligned with the panorama. Click on the image or on the following reference to display the higher resolution image version (345 KB, JPEG format).